LE MONDE: Il y a "une obligation morale" et "économique" à aider la Grèce, a affirmé Nicolas Sarkozy, vendredi 30 septembre, à l'issue d'une rencontre avec le premier ministre grec, Georges Papandréou, à Paris, car "son échec serait celui de toute l'Europe". Peu auparavant, le premier ministre grec avait répété que son pays était "déterminé à faire les changements nécessaires" pour sortir de la crise, ajoutant qu'il était prêt à accueillir des experts pour vérifier ces efforts "en toute transparence". THE DAILY TELEGRAPH: There is a growing risk that the global economy will move from the 'Great Recession' into the 'Great Stagnation', according to economists at Goldman Sachs. Stagnations typically mean long periods of sluggish growth of about 0.5pc, low inflation, rising and sticky unemployment, stagnant house prices, and lower returns on shares, they said. There is a 40pc chance of the current situation developing into a period of stagnation among developed economies, Goldman calculated. "Trends in Europe and the US are so far still following growth paths that would be typical of stagnations," they said in a note. 'Great Stagnation'? What a load of cobblers! 'Great Depression,' more like! And just who are the people who played a large part in this mess? And just what do they mean when they talk about a period of low inflation? Inflation is already running pretty high, despite the economy in a deep recession, sliding toward depression. SÜDOSTSCHWEIZ.CH: Im Kampf gegen den hohen Kurs des Yen fährt die japanische Regierung neues Geschütz auf. Die Regierung hat beschlossen, den Fonds für Währungsinterventionen um 15 Billionen Yen (rund 176 Milliarden Franken) aufzustocken. In her small fashion boutique in a village near Saint-Étienne, Valérie Dongrazi was feeling the pressure of French banking jitters and the economic rut. The 44-year-old shopowner has not paid herself a salary for more than a year. When she did, it was €1,300 (£1,130) a month. She's had to start buying cheaper foreign stock as clients in her village in south-eastern France who once paid €270 for a good winter coat, can now afford just €150. To stay on top of overheads, she relies on going to her bank to increase costly overdrafts or ask for loans. But with a big question mark over French banks' stability, shares in the biggest banks plummeting and talk of a state bailout, the lifeline of bank credit to businesses like Dongrazi's is drying up. French banks are nervous about lending money, companies are struggling and consumer confidence has fallen to the lowest level since February 2009, when France was suffering its worst recession since the second world war. "There's a mood of fear; people are not buying for pleasure, barely for necessity. I'm not optimistic," she said. THE DAILY TELEGRAPH: The dynasty behind the German car manufacturer BMW has broken its silence over its dark Nazi past and admitted to using forced labourers in its factories and profiting from the "aryanisation" of Jewish businesses. 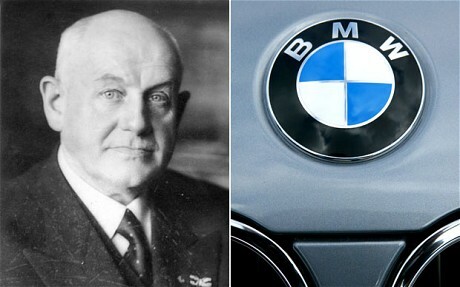 The Quandt family empire, which became a major shareholder in BMW after the Second World War building it up to become one of the most desirable car brands, launched a project to investigate its Nazi-era activities after unpleasant revelations were aired in a 2007 TV documentary. 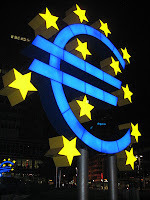 THE DAILY TELEGRAPH: Germany's parliament approved new powers for the eurozone crisis fund by a large majority, giving the euro a boost and triggering a rally in Greek bonds. The vote before the Bundestag lower house on expanding the €440bn (£380bn) bailout fund was also seen as a crucial test of Chancellor Angela Merkel's authority amid fears of a major backbench rebellion. Among the 611 deputies present, 523 approved the measure, 85 voted against it and three abstained. However, political pressure on Ms Merkel eased slightly as her coalition party won the vote without needing to rely on the opposition. If the bill had only got through due to the centre-left opposition, she could be seen domestically as a "lame duck Chancellor, Holger Schmieding, chief economist at Berenberg Bank told Bloomberg TV. This could have undermined her ability to push through more measures to combat the crisis and leave. In seiner Rede zur Lage der EU nahm EU-Kommissionspräsident José Manuel Barroso die Banken in die Verantwortung. Eine neue Steuer für den Finanzsektor soll Milliarden in die EU-Kassen bringen. THE INDEPENDENT: William Hague has branded the eurozone a "burning building with no exits" amid frantic efforts to control the sovereign debt crisis. The Foreign Secretary said he believed Germans would have to subsidise weaker members such as Greece for "the rest of their lifetimes". Delivering the starkest comments so far by a senior British minister, Mr Hague also claimed the single currency was set to become an "historical monument to collective folly". 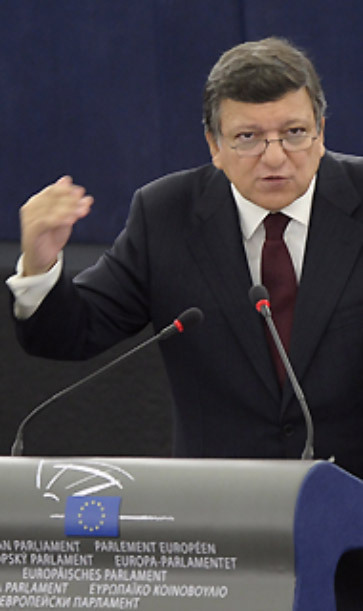 The intervention emerged as the president of the European Commission, Jose Manuel Barroso, warned that the EU faced its "greatest challenge". 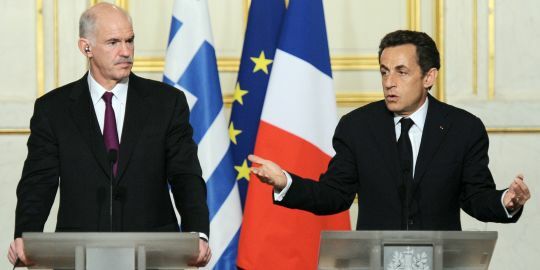 However, Mr Barroso insisted Greece would remain in the eurozone despite fears that it will default on huge debts. Interviewed for The Spectator magazine, Mr Hague referred to a remark he made as Tory leader in 1998 while running a campaign to 'Keep the Pound'. FRANKFURTER ALLGEMEINE: Vor dem EU-Parlament hat EU-Kommissionspräsident José Manuel Barroso zum zweiten Mal eine Grundsatzrede „zur Lage der Union“ gehalten. Einen Ausschluss Griechenlands aus der Gemeinschaftswährung schloss er aus. Und erntete dafür großen Applaus. EU-Kommissionspräsident José Manuel Barroso hat seine Forderung nach Einführung von Euro-Bonds bekräftigt. Voraussetzung für solche gemeinsamen Staatsanleihen aller 17 Euro-Länder sei allerdings, dass die EU die notwendigen Instrumente für wirtschaftliche Integration und Haushaltsdisziplin schaffe, betonte er am Mittwoch vor dem Europaparlament in Straßburg. Die Euro-Bonds müssten „Stabilitäts-anleihen“ sein. Vor allem Deutschland lehnt bisher die Einführung von Euro-Bonds strikt ab. Großbritannien wehrt sich vehement gegen eine Finanztransaktionssteuer. TRIBUNE DE GENÈVE: La capitale grecque était au point mort ce mercredi, au troisième jour de grèves touchant les transports en commun en riposte à un durcissement de la rigueur tandis que retraités, employés municipaux, chauffeurs de bus et taxis étaient dans la rue. Dans un centre-ville anormalement vide, des centaines de retraités ont défilé jusqu’au ministère des Finances, protestant contre une nouvelle série de mesures fiscales, dont une taxe immobilière adoptée mardi soir par le parlement, et de coupes additionnelles dans les pensions de plus de 1400 francs [Suisse]. Relayant des appels à la désobéissance civile circulant depuis plusieurs jours sur la toile, ils ont brûlé devant le ministère des formulaires fiscaux, imités un peu plus tard par des employés municipaux concluant un rassemblement. Pour la troisième journée consécutive, les grands axes desservant la capitale étaient livrés à de gigantesques embouteillages, en l’absence totale de transports en commun mais aussi de taxis. THE DAILY TELEGRAPH: The average easy access savings account has lost nearly £2,500 of its real value or purchasing power during the last decade, according to calculations by Yorskhire Building Society. Inflation is the insidious enemy of savers because it stealthily reduces what their money will buy. But with the Government’s favoured yardstick, the Consumer Prices Index (CPI) rising at an annual rate of 4.5pc – and the Retail Prices Index (RPI) showing 5.2pc – many may underestimate the cumulative threat. Simon Broadley of Yorkshire Building Society said: “With the average savings account standing at £11,648 this can have a significant effect on a person’s savings – especially over the long-term, given the current market. THE DAILY TELEGRAPH: Labour will offer a "new bargain" to the people of Britain to end the "fast buck" culture of the last 30 years and reshape society so that hard work and responsibility are rewarded, the party's leader Ed Miliband said today. In his keynote speech to Labour's conference in Liverpool, Mr Miliband said he wanted to become Prime Minister so he can "write a new chapter in our country's history". Launching a scathing attack on "unjustified rewards" at the top of companies, asset-stripping "predators" in business and bankers who profited even as their mistakes caused economic meltdown, Mr Miliband said that a Labour government would use tax breaks, regulation and contracts to reward firms which contribute to their community. And he said he was determined to reform the welfare system to ensure that it pays to work, to end "cosy cartels" which set top pay, break up the "rigged market" which allows energy companies to charge high prices and rebalance Britain's economy away from the reliance on financial services and towards production and manufacturing. Against the backdrop of opinion polls suggesting voters do not see him as a potential prime minister, Mr Miliband sought to shake off the legacy of the last two Labour leaders to hold power, telling the conference: "I'm not Tony Blair. I'm not Gordon Brown either... I'm my own man and I'm going to do things my own way." THE DAILY TELEGRAPH: Germany and America were on a collision course on Tuesday night over the handling of Europe's debt crisis after Berlin savaged plans to boost the EU rescue fund as a "stupid idea" and told the White House to sort out its own mess before giving gratuitous advice to others. 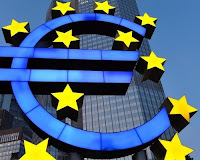 German finance minister Wolfgang Scha[e]uble said it would be a folly to boost the EU's bail-out machinery (EFSF) beyond its €440bn lending limit by deploying leverage to up to €2 trillion, perhaps by raising funds from the European Central Bank. "I don't understand how anyone in the European Commission can have such a stupid idea. The result would be to endanger the AAA sovereign debt ratings of other member states. It makes no sense," he said. Mr Schauble told Washington to mind its own businesss after President Barack Obama rebuked EU leaders for failing to recapitalise banks and allowing the debt crisis to escalate to the point where it is "scaring the world". Merkel zu Europa: "Euro ist mehr als nur eine Währung"
Bundeskanzlerin Angela Merkel bekennt sich zur Europäischen Union, Deutschlands Zukunft sei untrennbar mit Europa verbunden. Der Euro sei ein Garant eines einigen Europas, scheitere er, scheitere Europa. Deshalb dürfe er nicht scheitern und werde nicht scheitern. SPIEGEL ONLINE INTERNATIONAL: The new Bundesbank president, Jens Weidmann, used to be one of Merkel's closest advisers. 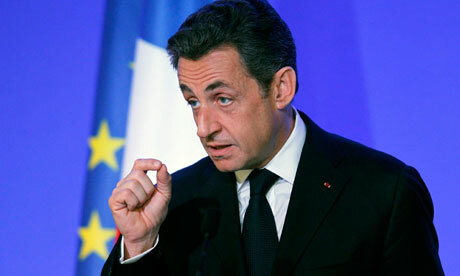 Now, he is one of her staunchest critics over the euro rescue. He is strictly opposed to the European Central Bank's policy of buying up bonds from debt-stricken countries -- and is winning a growing number of allies for his cause. Jens Weidmann knew what would happen, but he had to make the joke anyway. He owed it to himself and to his new position as head of the Bundesbank, Germany's central bank. "Did you leave so much space between us on purpose?" he asked German Finance Minister Wolfgang Schäuble with a cheeky grin. Indeed, the podium that had been set up for their joint press conference on Friday in Washington really did have generous dimensions, leaving enough space for two or three people between them. Schäuble examined the distance between them. Then he answered, with a pained smile: "We did that because of your independence." Germany is marveling at a breathtaking shake-up of political roles. 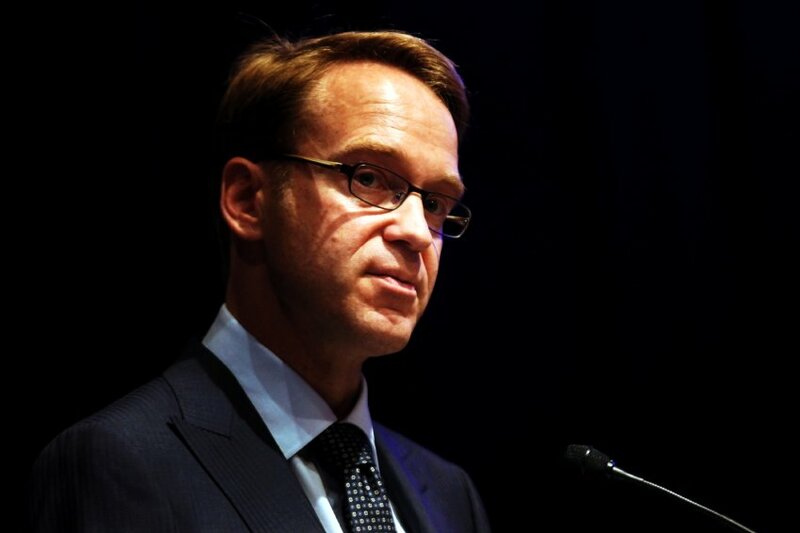 For five years, Weidmann served as an economic adviser to Chancellor Angela Merkel. During that period, he was loyal to her, even seeming too keen at times. 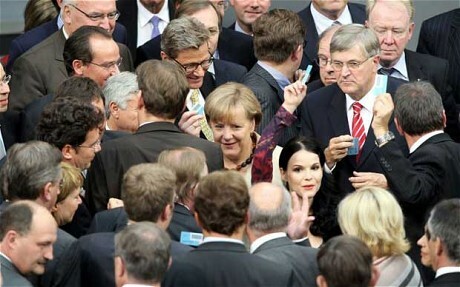 But now, in his new role as president of the Bundesbank, he has become one of her fiercest adversaries. An outspoken City trader left interviewers open-mouthed as he admitted that traders 'don't really care that much' about the prospect of an economic collapse. Für Griechenland hat eine wichtige Woche begonnen. Am Donnerstag wird der deutsche Bundestag voraussichtlich über die Ausweitung des Rettungspakets für Athen abstimmen. Nun hat sich Angela Merkel zur Eurokrise geäussert. Einschätzungen von SF-Korrespondent Jonas Projer aus Brüssel. THE DAILY TELEGRAPH: Germany's top judge has issued a blunt warning that no further fiscal powers may be surrendered to Europe without a new constitution and a popular referendum, vastly complicating plans to boost the EU's rescue machinery to €2 trillion (£1.7 trillion). "The sovereignty of the German state is inviolate and anchored in perpetuity by basic law. 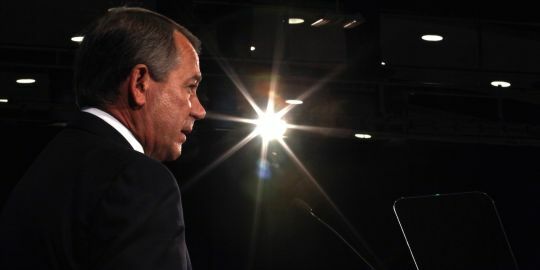 It may not be abandoned by the legislature (even with its powers to amend the constitution)," he said. THE DAILY TELEGRAPH: Despite the slide, gold remains one of the best-performing asset classes of 2011 and recent falls have merely reversed the gains seen in August. Is US Apprentice star Donald Trump a new contrarian indicator? On September 15, it was revealed that the forthright entrepreneur had agreed to accept gold bullion as a security deposit on a lease for a floor of the Trump Building on Wall Street. The gold was estimated to be worth about $180,000 (£115,704). "The legacy of gold as a precious commodity has transcended to become a viable currency and an accepted universal monetary standard," Mr Trump said. 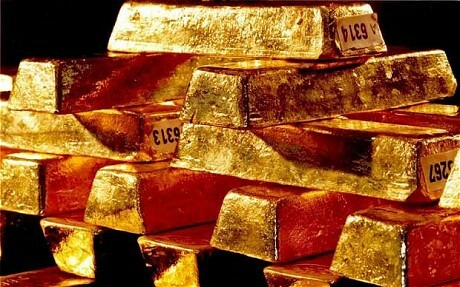 However, since the man nicknamed "The Donald" unveiled the decision the gold price has slumped by about $175 an ounce. Did his characteristically bold statement mark the top of gold's bull run? THE DAILY TELEGRAPH: BAE Systems, the defence giant, is expected to announce around 3,000 job cuts today, ending days of speculation about the scale of redundancies. The move comes in the wake of the Government’s defence cuts and is understood to have been prompted by flagging sales of the Eurofighter jet. The job losses are expected to be mainly at sites in its military aircraft division in Warton and Samlesbury in Lancashire, and Brough, East Yorkshire. Union leaders said defence cuts had been a “hammer blow” to the defence industry but expressed fury that workers at the firm have been kept waiting for confirmation of the job losses. Paul McCarthy, regional officer of the GMB, said it was a "disgrace" that workers heard via a leak to the media over the weekend that thousands of job losses were imminent. "We are going to ask the company to launch a formal investigation to establish who leaked this information." In der Schweiz steuert man auf einen Ärztemangel zu. Besonders spürbar wird dieser Mangel bei den Hausärzten und Gynäkologen werden. Um dem entgegen zu wirken, hat man im Kantonsspital Aarau nun Initiative ergriffen. THE SUNDAY TELEGRAPH: The white picket fence and manicured flowerbeds outside 1 Paradise Lane are straight from a picture postcard of idyllic suburban American life in the 1950s. But its walls are no more than canvas. Its porch overlooks smouldering bonfires and scrawny hens scratching at dirt. Its occupant is Marilyn Berenzweig, 61, who used to make $100,000 (£63,333) a year as a designer in New York’s garment district. 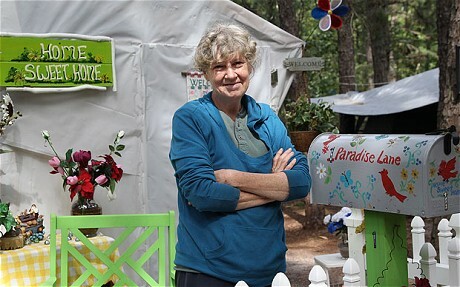 Now she and her husband Michael are down and out, living in Tent City, Lakeland, New Jersey. There is no electricity or running water and racoons steal their food. “It’s not an easy life,” she said. WIRTSCHAFTSWOCHE: Griechenland braucht nach Einschätzung von Finanzminister Wolfgang Schäuble (CDU) rund zehn Jahre, um sich von der Krise zu erholen. THE DAILY TELEGRAPH: Despairing middle classes could be the biggest threat to Greece's future, writes Paul Mason in Athens. As Britain's high streets struggle to cope with a flatlining economy and collapsing demand from shoppers, major retailers have decided that Christmas needs to come earlier than ever. A decade ago, retailers would not start their festive promotions until late October, but this year – with dozens of retail chains on the brink of bankruptcy – selection boxes, mince pies and even advent calendars and Christmas puddings are already on the shelves of supermarkets across the country. Marks & Spencer on Oxford Street has a dedicated aisle for Christmas products. Brian Payne, a 70-year-old retiree from Tottenham, north London, was stocking up on mince pies on Friday lunchtime. "It's amazing, isn't it, that you can get all this Christmas stuff already," said Mr Payne, who had two boxes of lattice mince pies in his basket. 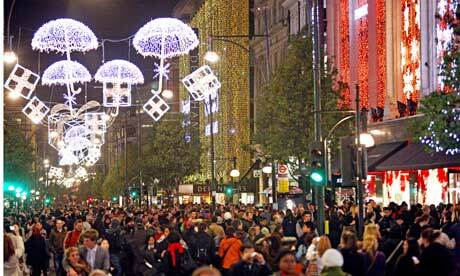 "I want it to be Christmas every day, so I really don't mind that it's come around this early. "They say 'for Christmas' on them, but if you look at the best-before date they only last till 2 October. I bought two boxes last week as well. I'll probably go through 30 boxes before I have one on Christmas day." Richard Hyman of Deloitte says retailers have been forced to move their festive ranges and promotions forward because, for many shops, Christmas is the "only time they make any serious money". THE DAILY TELEGRAPH: European officials are working on a grand plan to restore confidence in the single currency area that would involve a massive bank recapitalisation, giving the bail-out fund several trillion euros of firepower, and a possible Greek default. SPIEGEL ONLINE INTERNATIONAL: Small business owners in Greece have long been the backbone of the economy and reliable taxpayers in a country where tax evasion is rampant. That, though, is now changing. 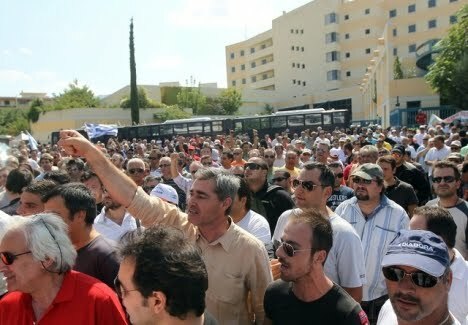 Self-employed workers like Angelos Belitsakos have had enough of rising taxes and have begun to revolt. NZZ ONLINE: Die Schweizer Börse hat am Freitag anfängliche Gewinne nicht behaupten können und ist im Einklang mit anderen europäischen Finanplätzen wieder deutlich ins Minus gerutscht. 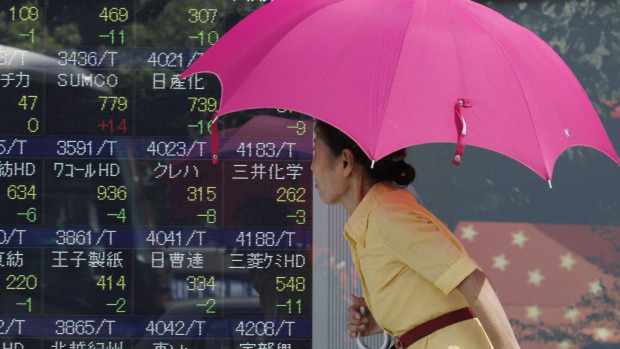 LOS ANGELES TIMES: Asian and European stocks spiral downward. The Dow Jones industrial average plunges almost 400 points toward its worst week since the depths of Wall Street's collapse in 2008. The strain of deteriorating economic conditions and the failure of governments to contain the damage are raising fears that a new financial market meltdown may be unavoidable. The grim mood was evident worldwide as a cascade of selling in stocks and commodities was triggered by concerns that policymakers lack the firepower and political consensus to revive their faltering economies. The Federal Reserve's latest move to push interest rates lower failed to assuage investors, who appear to be giving in to anxieties about a double-dip recession. Global markets buckled Thursday. Asian and European stocks spiraled downward and pulled the Dow Jones industrial average down almost 400 points toward its worst week since the depths of Wall Street's meltdown in 2008. Even gold wasn't a safe place to turn. Meanwhile, interest rates on U.S. Treasury bonds fell to lows not seen since the 1940s as investors rushed to lock in yields. THE DAILY TELEGRAPH: The world stands on the brink of a new economic crisis that would leave countries like Britain “staring down the barrel”, David Cameron has warned. The Prime Minister said that the failure of leaders in the US and Europe to tackle government deficits now “threatens the stability of the world economy”. Mr Cameron spoke as stock markets around the world fell sharply again, with the FTSE-100 suffering its biggest drop for more than two years. Politicians, central bankers and investors are increasingly worried that the world’s biggest economies are sliding back into a recession, dragged down by government debts. More gloomy economic data yesterday led one of the world’s leading economists to say that Britain, the US and the eurozone are all already in recession, and warn of a second financial crisis worse than that of 2008/9. The Prime Minister spoke in Canada after delivering a blunt warning to President Barack Obama and eurozone leaders about the need to follow Britain’s example and curb their deficits. LE FIGARO: Le CAC 40 clôture ce jeudi sur une baisse de 5,25% à 2781,68 points, encore plombé par le secteur bancaire. Les investisseurs sont de plus en plus inquiets des signaux de ralentissement économique mondial. THE DAILY TELEGRAPH: An alleged rogue trader accused of the City’s biggest fraud is “sorry beyond words”, his lawyer said today. Former public school boy Kweku Adoboli was “appalled” at the consequences of his “disastrous miscalculations”, said his barrister Patrick Gibbs QC. Kweku Adoboli is said to have gambled away £1.5 billion while working for Swiss investment bank UBS. The 31-year-old of Stepney, east London, who faces two charges of false accounting and two counts of fraud, appeared before City of London magistrates. Mr Gibbs told the hearing: “He is sorry beyond words for what has happened here. TAGES ANZEIGER: Der ehemalige US-Präsident bezeichnet die geplante Reichensteuer seines Nachfolgers als Unsinn. Über die Medien deckt er Obama mit Ratschlägen ein. Lob gibt es dafür für eine andere Person in dessen Kabinett. Ex-Präsident Bill Clinton untergräbt die Autorität von Barack Obama. Im Interview mit dem konservativen Magazin «Newsmax» kritisiert er die Absicht des US-Präsidenten, die Steuern für die Reichen zu erhöhen, um so das Schuldenproblem zu beheben. There are perhaps few more incongruous-sounding holiday destinations than North Korea. If President Obama really wants to see the "Buffett Rule" in action, he should look at California's tax system. The state has been plagued by it for years. The revenue stream is unstable and the state budget has been a deficit disaster. Soaking the rich — relying heavily on them for income taxes — has resulted in a precarious revenue roller coaster ride. It's either boom or bust in Sacramento, depending on how the wealthy are faring in the stock market and their other investments. 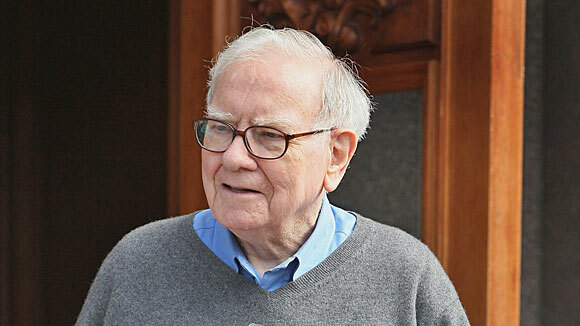 Billionaire investor Warren E. Buffett's rule is that he shouldn't be paying a lower income tax rate than his secretary or any middle-class taxpayer. "Legislators in Washington," Buffett complained in a New York Times opinion piece last month, "feel compelled to protect us [mega-rich] much as if we were spotted owls or some other endangered species…. My friends and I have been coddled long enough by a billionaire-friendly Congress." With rhetorical flourish, Obama incorporated the Buffett Rule into the deficit-cutting plan he announced Monday, declaring that people earning more than $1million shouldn't be allowed to pay a lower tax rate than middle-income families. 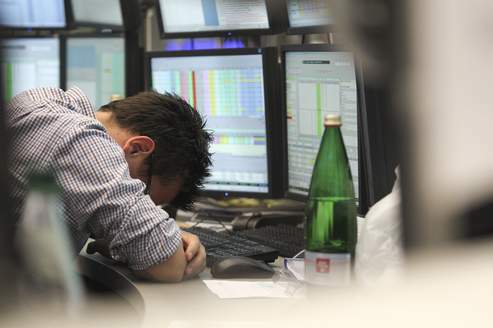 THE GLOBE AND MAIL: World stocks skidded lower Thursday, stung by the Federal Reserve’s pessimistic assessment of the U.S. economy and the perceived ineffectiveness of measures to kickstart growth. Benchmark oil tumbled below $84 a barrel while the U.S. dollar strengthened against the euro but fell against the yen. European shares were sharply lower in early trading. Britain’s FTSE 100 dropped 3.2 per cent to 5,121.71 and Germany’s DAX stumbled 3.4 per cent to 5,249.80. France’s CAC-40 fell 3.6 per cent to 2,830.87. TRIBUNE DE GENÈVE: Entre colère, incrédulité et consternation, les Grecs ont entamé aujourd'hui une grève générale des transports pour protester contre les mesures d'austérité. Athènes est immobilisée. Une grève générale des transports à Athènes déclenchée en réaction au nouveau train de mesures d’austérité décidé par le gouvernement grec dans l’espoir d’empêcher la faillite du pays et de le maintenir dans la zone euro provoque le chaos dans la capitale. Situation exceptionnelle, Athènes était privée de tout transport, avec l’appui des taxis, irrités d’un projet de libéralisation de leur secteur, tandis qu’enseignants et employés municipaux avaient également prévu des arrêts de travail. Les contrôleurs aériens ont entamé un arrêt de travail de quatre heure, forçant les compagnies aériennes à annuler ou reporter les vols. Le secteur public sera en grève le 5 octobre et une grève générale de 24 heures est prévue le 19 octobre. TRIBUNE DE GENÈVE: "Fitch s’attend à ce que la Grèce se retrouve en défaut de paiement, mais (le pays) ne va pas quitter la zone euro", a indiqué l’agence de notation dans une étude. La Grèce, embourbée dans la crise de la dette, va se retrouver en défaut de paiement mais ne quittera pas la zone euro, car les coûts d’une telle décision seraient trop élevés non seulement pour Athènes mais pour l’ensemble de l’Europe, a indiqué mercredi Fitch. "Fitch s’attend à ce que la Grèce se retrouve en défaut de paiement, mais (le pays) ne va pas quitter la zone euro", a indiqué l’agence de notation dans une étude. 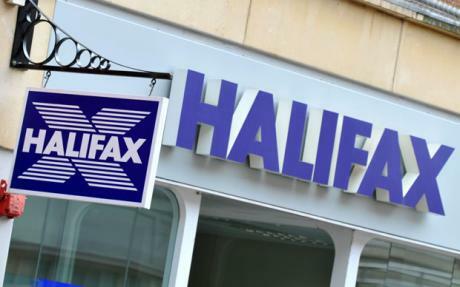 THE DAILY TELEGRAPH: Halifax, Britain's biggest savings bank, is taking on National Savings' Premium Bonds – the nation's favourite savings product – with the launch of a new monthly prize draw. Every month the bank will award cash prizes of up to £100,000 to randomly selected savers. To qualify, customers must be aged over 18 and have at least £5,000 in savings with Halifax or Bank of Scotland, although this sum does not all have to be in the same account. The odds of winning a prize are expected to be higher than with Premium Bonds, where each £100 holding has a 240 to 1 chance of scooping a prize each month. However, unlike with Premium Bonds, savers who don't win will still receive interest as normal on their accounts. SHARECAST: LONDON - The Bank of England Monetary Policy Committee (MPC) voted unanimously to keep rates and the asset purchase programme unchanged at its latest monthly meeting, but moved closer towards embarking on an expansion of quantitative easing. DAILY EXPRESS: VINCE Cable yesterday issued a stark warning to families that the era of ever-improving living standards had come to an abrupt end. The Business Secretary tells the Liberal Democrat conference he is consulting on how to tackle escalating executive pay. THE DAILY TELEGRAPH: Vince Cable tells Liberal Democrat Party Conference in Birmingham: "We now face a crisis that is the economic equivalent of war." This is the full text of his speech. These are dangerous times for our economy. But I am absolutely certain that, at such a moment, the country is stronger for having two parties in coalition working in the national interest. When I joined up I had very mixed feelings about this coalition, like many of you. I looked for good precedents. I thought of Attlee and Bevin working with their Tory opponents – Churchill and Beaverbrook – setting aside their political differences in a common cause. That coalition unleashed the great Liberal reformers; Beveridge and Keynes. Now, you could say: that was war; that’s different. Mit ihrer Forderung nach den „Vereinigten Staaten von Europa" hat Ursula von der Leyen für großes Aufsehen gesorgt. Fraglich ist, ob „Mehr Europa" - wie die Einführung einer „Europäischen Wirtschaftsregierung"- die Euro-Krise lösen kann. Bei der Frage, wie der Euro gestärkt werden kann, hat sich auch Friedrich Merz zu Wort gemeldet. Er fordert für Länder wie Griechenland eine Suspendierung aus der Währungsunion, zumindest auf Zeit, wenn diese sich nicht an die Haushaltsdisziplin halten. Die CSU unterstützt zwar die Bemühungen um eine europaweite Schuldenbremse und auch die Pläne einer Finanztransaktionssteuer. Sie ist aber dagegen, in Europa noch mehr bürokratische Institutionen zu schaffen. Bei der geplanten Abstimmung um den erweiterten EU-Rettungsschirm scheint die Kanzlermehrheit wackelig. Kann eine gemeinsame Wirtschaftsregierung den Euro aus der Krise führen? Wird Angela Merkel die Kritiker in der Union auf Linie bringen können? LE POINT: L'ancien président de la Commission européenne est indigné de l'absence de prise de décision face à la crise en Europe. LE MONDE: Le président républicain de la Chambre des représentants américaine, John Boehner, a répondu jeudi 15 septembre au plan emploi de Barack Obama en éreintant les propositions du président qui, selon lui, ne relanceront pas l'emploi dans le secteur privé. 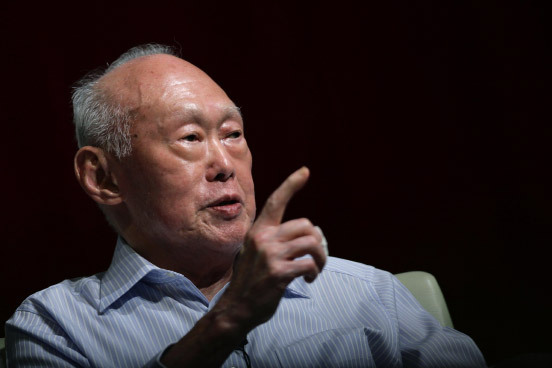 FRANKFURTER ALLGEMEINE ZEITUNG: Er gibt Europa keine Chance: Lee Kuan Yew, Gründer und langjähriger Ministerpräsident Singapurs, sagt, der Euroraum sei nicht zu retten. Chinas Hilfsangebot sei reines Eigeninteresse.